Located in Leh, Oriental guest house offers an oasis of calm and peace. The hotel is 5 km away from Leh airport. 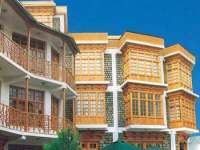 Hotel Lasermo is a deluxe hotel located at Chulung Old Road in Leh and Ladakh amidst a green garden area with views of the Himalayan Mountains. The hotel is built in the local traditional style. 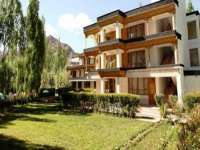 Hotel Lotus is situated in the heart of the city in upper Karzoo  Leh Ladakh. The hotel is around 300 meters from the market and a kilometre from the bus stand. Hotel Lotus is amidst groves of evergreen trees. 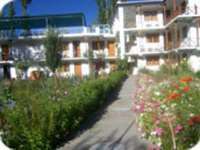 Padma hotel guest house is located in Leh, Ladakh. The hotel is about 2 km away from Leh airport and 400 km from Leh railway station.